I live in Australia’s fashion capital, and my favourite thing is to be asked “Where did you get THAT?”. I have a penchant for silly shoes, and beautiful bags. I spend vast quantities of time shopping for clothes, but when it’s time to get dressed in the morning, I invariably have nothing to wear. I sell books, and think publishing is the best industry in the world to work in (because no-one makes any money in books, everyone who works with them is doing it out of love). I come from a large family, and though I live in a different city, I’m still comfortably entangled in my Mum’s apron strings. I have an almost infallible sense of direction (inherited from my Dad, and what the family refers to as our “bump”) and a completely fallible sense of balance. I prefer Operas that end in weddings, to those that end in funerals, and I have a secret stash of romance novels that I’m horribly embarassed about. I just wanted to say a big thank you for introducing me to Chie Mihara (I think that it is going to hurt my pocket) and send you some blog love! I also am a lover of different shoes and cute dresses with a serious bag addiction. Congratulations on your recent wedding. I got here by your Dolly couture wedding dress that wasn’t :). Are you on Pintrest? you can get them from a random shop in Husskinson (near Nowra) I was having a bad day and nearly bought the who store! oh I LOVE Chie Mihara sandals discovered them here in nyc this year!! They have the perfect balance of ‘cute’ and ‘elegance’ – though yes, they are quite steep in price! I just discovered your blog (how I have not before boggles my mind) and just wanted to say that I am really enjoying it and your keen fashion sense! Thank you! Hi there! I just stumbled upon your blog and I am enchanted by your unique, quirky, and often retro outfits! You really make me wish that I lived in Australia so I can be surrounded by such wonderful REAL women clothing stores, but alas I’m over “the pond” in Washington State lol. Love your clothes and your post can you post where/ what store you buy from I’m in the USA. Where possible I always try to link through to online stores or websites. I love your style! I have a fairly stupid question- do you mind if people pin your posts on Pinterest? I LOVE it when people pin images from Frocks and Frou Frou! It’s great to be able to see what people really like, so pin away! hi there! just love the way you dress! keep it up. Just thought I’d write to let you know that I sold my gumball machine pin to a customer who said she found it through your blog article! She sent me a link, and I have to say I thoroughly enjoy your blog. I’ll definitely be back! Thats fabulous, Alison! I’m so glad to hear a reader managed to snaffle up your brooch! My goodness – what a great blog! Very inspirational. Love your style. Thanks Edie! I’m glad you’re enjoying reading! Hi, i’m a brazilian plus size girl and i think your blog is amazing. I have a blog also, but in portuguese off course and i just put your blog in our fav links. Thanks Mary, I’m glad you’re enjoying reading! Just noticed that your pics were taken in the Majorca Building, in Flinders Lane in Melbourne, in front of the lift. I have an apartment here and I work in bookselling. Weird. Do you live here or were you just visiting? It’s such a fabulous building. You are ADORABLE! Thanks for sharing your beautiful sense of style and humor with the world. I love your style, and your blog.You have a super sense of fashion. I’m a great fan from Hungary! Just found your blog. It is so cute and well thought out. I am so jealous I wish I lived in Melbourne. I am an amateur milliner and my favorite one lives in your city. Have you ever been to his store Phillipe Rhodes? I love the blue dress on you, but I think the shorter dresses work better on you something about the proportions. I just wanted to say hi. I just found your blog and the first thing I recognized are your wedding pictures (maybe because I’m getting married in may). You look so amazingly beautiful. Overwhelming. My favourite picture is the one where you are sitting at a table laughing. Carry on with your blog! Gorgeous dresses! Thank you for featuring beautiful, ladylike clothes. I’m so pleased to find a normal-size fashion blogger who loves beautiful clothing. I’ll definitely be checking back often. with love your super fan from ITALY! I have been following you for a few months now! We have very similar style, but you have the sewing skills, which I do not. Like you mentioned, I also have a closet full of clothes, but seem to run out of ideas to create cute outfits each day. Your adorable outfit posts have become another source of inspiration for me! Looking forward to more! I just came across your blog. Love the posts. Just simply wanted to say thank you. Up in the middle of the night in my tiny little town in the US, and I decide to indulge in one of my favorite blogs to add cheer to my insomnia. Then I read that your bouquet was caught by a lovely lady with the same Kenyan name as my daughter. I find the smallness of our world absolutely delicious. My name is Alice from South of Korea. Your style is so awesome! You are just lovely. Thanks for this! Love the blog and you! Aw, you’re sweet Arline. Thank you for the kind comments, and I’m glad you’ve found the blog! Oh. My. Lord. I am in love. You need to get on Pinterest, girl!!!! You’re style is unmatched! Thank you for this blog!!! If I wasn’t all the way over here in the U.S., I’d come over there a kiss you! Hi, I just wanted to say that I LOVE the way you dress! I spend a lot of time on ” plus size blogs ” and I’m so thankfull of you ( I’m sorry if I make mistake, I don’t really speak great english ) and all the other blogger, that help a lot to see such beautiful women like you with curves wearing wonderful clothes! ah lol, how did i miss that huge pretty button saying twitter? never mind, following you now!!! Amo seu blog…. sou brasileira e adoro suas formas de usar e brincar com roupas…. lindo lindo !!! Haha, yesss to romance novels. I’m a librarian so everyone assumes I have impeccable literary taste but sometimes you just need….brain candy. Yay, I work in publishing, too! Don’t be embarrassed about those romance novels. We need to embrace all parts of culture, high and low! That’s why I watch every soap opera going, and every cheesy TV detective series… LOVE your blog! Loved your rule breaking in The Guardian! You are very inspiring. I think you are great!! I really enjoyed reading your blogs. Thank you so much for your thread on your Light in the Box dress purchase! I have been sweating bullets ever since I ordered my daughter’s homecoming dance shoes from there. Usually I do not order from sites like that one, where they originate out of the States, as I am always concerned about shipping time and return issues. However, she is a Narrow size 34 (US 4) and they just don’t sell those here in the stores, and only a few state-side sites have been found that carry them in stock, though most of what is offered is hideous (seems they think that if they have super small feet, they need massive platforms with ultra ugly heels and clown-like designs. WTH?!). There is Nordstroms and a New York based company that both sell stunning, classic, no-platform, stiletto evening shoes, but I simply can’t shell out $700+ for one pair of shoes!!! After I ordered, all seemed well, but then they told me her size was specially made; they don’t keep them in stock. Okay; not surprised. But then I found scads and scads of horror stories of how they were a scam company, etc. and I thought I was gonna hurl on my keyboard; what was I gonna’ do?! $115 gone and no shoes…daughter with no shoes at her senior homecoming…O..M…G….IF they were correct. Then I found Wedding Wire which had lots of brides telling a different story; they all (except for 2) raved about them and their dresses and shoes. Made me feel a little better (downgraded my sweating to bullets instead of buckets) as there is no harder to please customer than a bride-to-be. LOL Then, desperate to find more “Yeaaa! I LOVE IT!” reviews, I stumbled across yours. Your words and photos of all the details really made me feel significantly better. True, it is no guarantee that her shoes will arrive by the promised 4-23-13, but I am more hopeful now. Thank you for your amazing blog. I can’t believe I haven’t discovered it earlier. I had been feeling very frumpy and uninspired about fashion after putting on weight with pregnancy (and not losing a lot of it afterwards), and while I wouldn’t describe your figure as being plus size at all, the links to retailers and independent designers who cater for a broader range of body types has inspired me. I don’t have a huge budget either, so I was pleased to find how affordable it can be to shop plus size, with the exception of those amazing chie mihara shoes. Dressing up and wearing nice clothes might not seem very important to a lot of people I know, but it has made me feel feminine and pretty again. I had given up sewing since having my baby as well, but your box pleat skirt tutorial inspired me to plug the old girl back in. Thanks for being such an inspiration, and such a gorgeous one at that. hi, lilli, just writing to tell you how much i love your site. i work in fashion (for nordstrom) in seattle, USA, and i occasionally blog myself, and yours is one of my favorites! i have it bookmarked so whenever i open a new tab at work, it suggests that i go check in with you and see what’s new. 🙂 thanks for all you do! Absolutely love this blog site… And you are absolutely adorable!!! I discovered your awesome fashion on Pinterest this morning thinking frocks and froufrou was a shop and i could finally dress how I feel inside. I was rather sad to find this is not a store. But I’ve decided to cheer up I shall use you as my muse to cure my plus size fashion idiocy instead of sulking in my aweful stretchy sweats and tees. Wish me luck. Please wish me luck as I venture to reinvent myself. Thank you desperately for lighting the way. Nice blog for plussize girls! Greetings from Germany. Here it is much more difficult to get nice clothings for plussize women, but it´s possible… From time to time we read in your blog. Compliments! You have a keen sense of fashion. Simple, old school chic, love it! 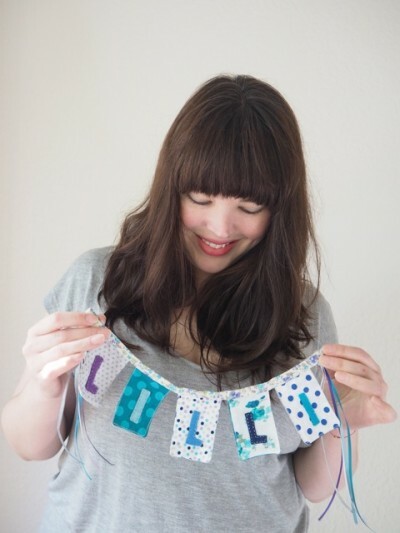 Lilli, I simply adore your blog and style. Found you on Pintrest.